Along with the Esmaltes da Kelly polishes I recently reviewed, Beautometry also sent me a plate by Decor Unhas, another Brazilian indie maker. The images on the plate didn't seem to have a common theme but they were super cute and interesting, and I could see each one being useful. 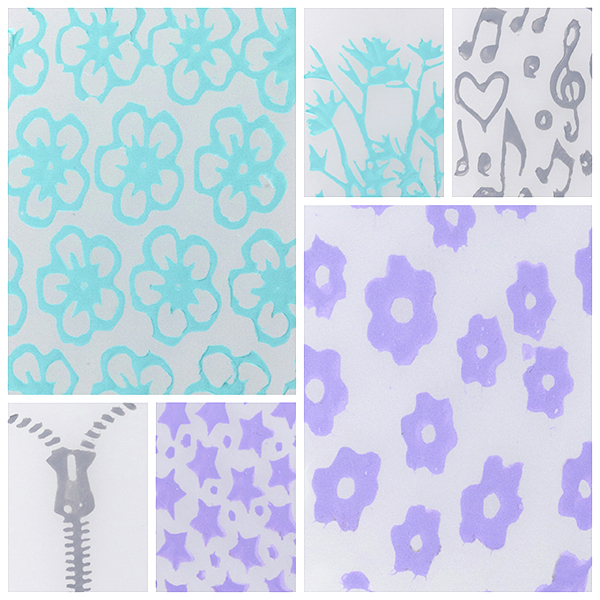 I absolutely fell in love the moment I saw these adorable bow and dot images. Here I paired them with one of the newly available Hit the Bottle shades, Tipsy Grasshoper, and Painted Polish Yellow as Honey for a super soft vintage feel. Loving these crisp lines. 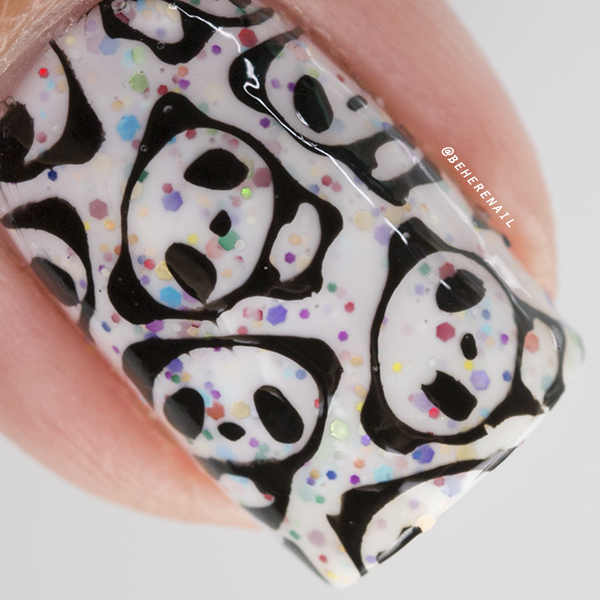 I also knew I had to use this crazy cute panda pattern. I went with a base of Painted Polish Chasing Rainbows because who doesn't love rainbow glitter pandas? Here I stamped with Hit the Bottle As Black as Night and again you can see how nicely the plate picks up, especially in that macro! Here are a few more of my favorites from DU03. Everything picked up pretty well the first time as you can see, but like my other thick and deeply etched plates I found that a diagonal scrape and my squishy stamper worked best. I am definitely feeling the diverse and unique images, and after checking out the others I think this a brand I will be following from here on out. Hope you love these looks! I will be back with another review tomorrow! Oh my gosh, these stinking cute pandas!!! I'm in love with them! They are a delight are they not? Thank you Kiz!!! Happy you like them Christy. It was a fun plate to review! Those rainbow glitter pandas!!! I really need to get my hands on Painted Polish. The bows are absolutely adorable too! I reach for these crellies constantly. They really do make a fantastic nail art base. Thanks Lili!